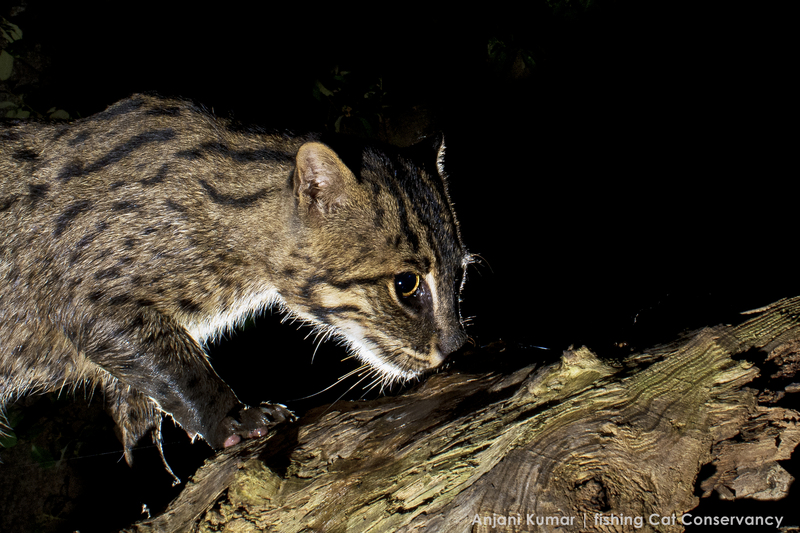 A close-up of a fishing cat taken by conservation photographer Anjani Kumar. Image © Fishing Cat Conservancy. There are 40 species of wild cats in the world, but many of them are under-studied and under-appreciated. In general, the charismatic big cats receive most of the attention, whereas the smaller cats are not celebrated as much as they deserve. To help remedy this, I am going to be releasing a series of posts about a truly remarkable animal: the fishing cat (Prionailurus viverrinus). The inspiration for these posts came from a chance meeting. As I mentioned before, I attended The Wildlife Society’s annual conference in Cleveland, Ohio this past October. One excellent feature of this conference was that it had its own app, which attendees could use to plan their schedules and chat with one another. In the days leading up to the conference, a gentleman named Ashwin asked about the local parking situation on the app. 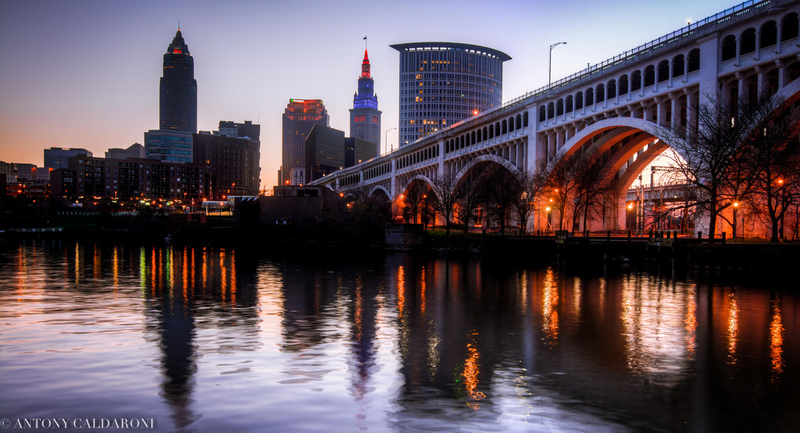 Since I had spent considerable time in downtown Cleveland, I responded. Through the ensuing conversation, I learned that Ashwin, formally Dr. Ashwin Naidu, is the CEO of a group called the Fishing Cat Conservancy (FCC). As soon as I discovered Dr. Naidu’s title, I knew that I had to meet him. I had been wanting to write more about the smaller cats for many months, and now I had the perfect opportunity. Dr. Naidu generously agreed to meet with me during the hectic conference. I caught up with him on October the 8th, as he was preparing for a slew of talks that he and his colleagues would be giving the next day. Dr. Naidu was accompanied by Pranav Tamarapalli, the FCC’s Lead Field Conservationist, and Srikanth Mannepuri: a Field Conservationist, filmmaker, and a photographer. 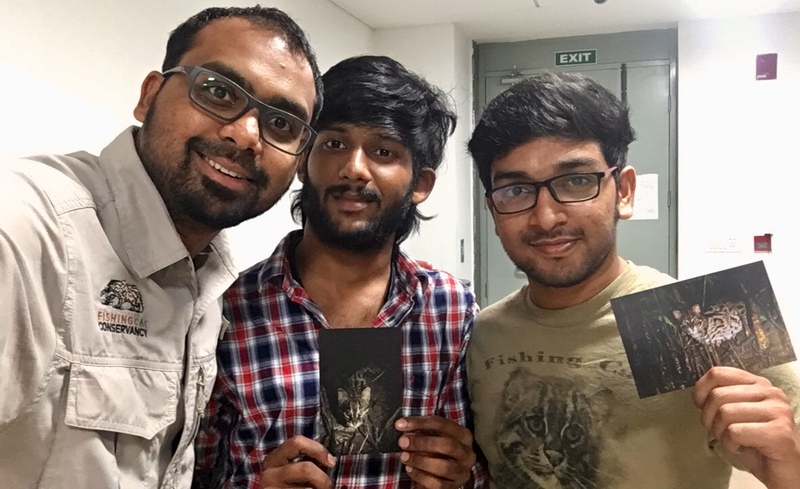 From left to right: Dr. Ashwin Naidu, Srikanth Mannepuri, and Pranav Tamarapalli of the Fishing Cat Conservancy. Image © Fishing Cat Conservancy. Even though they were busy readying their presentations, Pranav and Srikanth graciously set aside time to speak with me. They transmitted vast amounts of information about fishing cats and the FCC, and as they spoke I was struck by their passion and enthusiasm; they clearly enjoyed studying fishing cats, and were dedicated to conserving them. The next day, I attended both Pranav’s and Srikanth’s talks and caught the tail end of Dr. Naidu’s. I thus came away from The Wildlife Society conference with considerably more knowledge about fishing cats and the FCC than I had before, which I have supplemented with additional reading. Over the next two weeks, I am going to be sharing some of what I learned on this blog. Next week, I will be releasing a general overview of fishing cat biology and conservation, to introduce you to this extraordinary cat. That post will be followed by a piece about the Fishing Cat Conservancy: a non-profit organization that is working closely with residents of southeast India to conserve fishing cats and the mangrove habitats they call home. This is interesting, thank you for sharing it. I look forward to reading more about the Fishing Cat. Thanks River! They really are extraordinary cats, but I knew very little about them before meeting the guys from the Fishing Cat Conservancy. I had never heard of them so it really piqued my interest. Well fear not, you’ll be hearing plenty about them next week! They keep one pacing in desperation in a glass box at The San Diego Zoo. Yea, that sounds like most of the cats at the Cleveland zoo. Wow, I never knew about the Fishing cat! Look forward to learning more about them, and the work FCC does! Well, you’re going to learn plenty about fishing cats next week! The smaller cats do look a lot like house cats, but they’re as wild as wild can be! A fishing cat.. hmm didn’t know about that. It kinda looks just like the normal house cats. Haha they do look like house cats, although they’re considerably bigger. They’re also much less afraid of water than house cats!